In January 2002 the only woman, by law, to work underground in the mining industry in Britain for 160 years, Australian Jillian Wright began as a Rock-bolting Engineer at Clipstone colliery, where the workforce was 200. A graduate in environmental and mining engineering she had worked at Baal Bone drift mine in New South Wales, Australia doing underground labouring jobs and working on coal cutters. 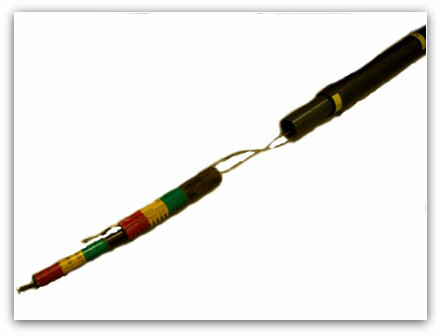 A tell tale device for checking if bed separation is occurring when roof bolting roadways is shown. The law forbidding women working underground in British mines in 1842 was repealed in 1992. (In 1988 Nottinghamshire miners had opposed the Equal Opportunities Commission’s plans to allow women to return to underground mining). Danger still lurks. An unexpected ‘inrush from old mine workings’ flooded the Longannet Complex near Alloa on 23rd March 2002 with 17 million gallons of water and the mine had to be closed. This was the last working deep mine in Scotland. Fortunately there was no injury but several hundred miners lost their jobs. The Rescue Service at Mansfield Woodhouse received 14p per tonne of coal mined, but with no Government funding since 1996, when the service received 13p a tonne from the 63 mines open in the country. The service was then opened to other companies as described previously such as British Airways, Virgin Atlantic, the Environment Agency, British Gypsum and other major utility companies. Wood-wool blocks previously used at most mines for roadway stoppings no longer available and replaced with light weight building blocks of a similar size. Clean coal technology was the challenge for the 21st Century. Coal seemingly on a downward spiral for much of the 20th Century was hopefully rising to meet the environmental challenges through scientific innovations. Improvements in boiler design and construction have sharply cut the generation of nitrogen oxides during combustion. Sulphur dioxide can be ‘scrubbed’ from flue gases with efficiencies of around 90%, while fluidised bed combustion with sulphur sorbents can prevent most of the coal’s sulphur from entering the flue gases in the first place. Of course all this is at a price! 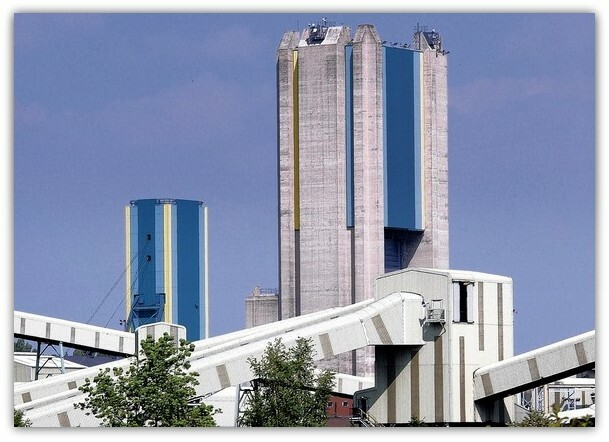 The development of flue gas desulphurisation improvements to the existing power plants again at a cost that put the coal from the remaining Nottinghamshire pits in jeopardy. 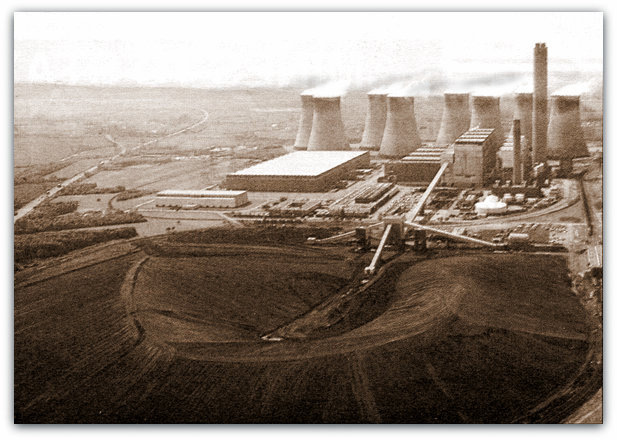 The 4 main coal burning power stations are, Ratcliffe-on-Soar (1965), Cottam and West Burton (1969) near Retford, and High Marnham near Newark (built 1959, updated 1980s and 2000). The other station Staythorpe, near Averham (pronounced Airham) production stopped - (4 combined cycle gas turbines). The first power station to burn petroleum coke was Ratcliffe-on-Soar. Petcoke is a mixture of oil and coal which costs half the price of coal but burns twice as long, but of course needs the alterations as above. West Burton currently under modification, again a further nail in the coffin for local coal as there would be a reduction in amount of coal needed. In April 2002, miners who had been sacked during the miners’ strike would be entitled to a pension following a dramatic Government U turn. Twelve former miners in Nottinghamshire were among those eligible nationwide for extra cash, after being sacked during the 1984-1985 dispute. ‘However any miner dismissed for violence or intimidation would not be eligible’, said Brian Wilson, (Lab), Minister for Energy. Prince of Wales colliery near Pontefract, Yorkshire, Britain's oldest colliery closed on 30th August 2002. Manager was Chris J Daniels (12111) (previously Manager Clipstone 1993 and son of John A Daniels MBE (9068) Manager at Clipstone 1978-1990). Only 90 of the 450 men employed transferred to other pits, the remainder made redundant. However shift patterns were changed to accommodate them. UK Coal wanted miners to work longer underground shifts then have more time off, say 4 days on, 4 days off. Blenkinsopp Castle Drift mine near Hadrian's Wall was to close also. This was the first underground mine worked by RJB Mining in 1994. It was announced in September 2002 that Clipstone, (Nottinghamshire) was to close for the second time, in the spring of 2003, unless a buyer could be found. 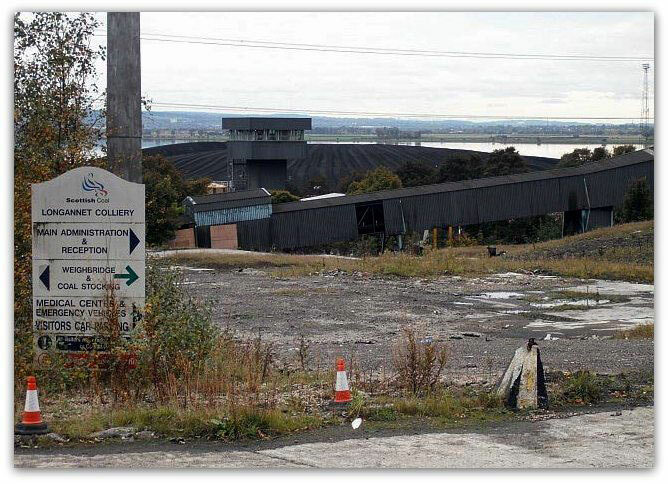 The Yorkshire Selby complex of pits was in deep financial trouble and in decline and was expected to close in 2003 after 25 years, (again a complex that was to last probably for a hundred years in the eyes of the NCB Planners!!). However the complex would close in July/Aug 2004), and a further 2,000 odd miners would lose their jobs. By September 2002 the New Labour Government stated that the total compensation paid to sick miners had reached £1 billion. £16.5 million had gone to former miners in Nottinghamshire, Derbyshire and Leicestershire. Brian Wilson new Energy Minister (Lab) 2002 (the third Energy Minister in about 6 months) said that the money had been paid to former miners suffering from vibration white finger, caused by operating heavy machinery, and lung diseases (such as pneumoconiosis, bronchitis, emphysema and asthma). The deadline for claims for compensation was 31st October 2002. It was thought that there are almost 25,000 men who have not claimed. UDM Secretary Mick Stevens (ex Bilsthorpe) announced on 5th November 2002 that the miners were to begin a series of 24 hour strikes over job security. Over 75% of the 2,000 members voted in favour of action at the remaining 6 pits belonging to UK Coal - including Thoresby, Welbeck, Harworth and Clipstone in Nottinghamshire, over fears of redundancies. Neil Greatrex (ex Annesley) was re-elected President of UDM for a further 5 years. John Mann MP (Lab) for Bassetlaw held emergency talks with Brian Wilson MP (Lab) the Government Energy Minister over the shock decision to close Harworth colliery, which has the largest coal reserves in the country. Arthur Scargill (64) stood down as President of the NUM from 1st August 2002 and was succeeded by Ian Lavery, however he would retain the post of honorary President. 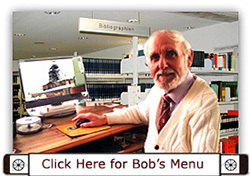 He had held the post since 1981. The union claimed to have around 10,000 members, however only a few thousand were still working, (mainly in Yorkshire). It was announced on 5th November 2002 that the Union of Democratic Mineworkers would go on strike if the proposed closure of Harworth Colliery was to go ahead with the loss of hundreds of jobs. However it was announced by British Coal that 480 jobs had been secured at the pit due to a new business plan being created giving a minimum life of 5 years for the mine, as a new part of the mine was to have a geological survey by April. New working practices were to be implemented to make the pit more efficient and economical. In the past year 77 men were made redundant and the pit made a loss of £25m. World prices of coal plunged to record low levels. Shipments of coal from South Africa, Columbia and Australia and other countries were being delivered to inland power stations at about £1 a gigajoule or about £25 a tonne whereas UK deep mined coal was costing about £1.36p a gigajoule or about £34 a tonne before delivery! Brian Wilson MP (Lab) Energy Minister stressed ‘investment aid’ would be on offer for coal producers from January 2003 to sustain unviable pits, Harworth obviously being one of them. The UDM were having talks with the Government at the end of the year regarding men being able to claim compensation for crippling knee injuries whilst working underground, which had led to many miners being left with cartilage tears, bursitis, fluid on the knee and arthritis. A DTI (Department of Trade and Industry) spokesman declined to comment on the outcome of the talks. Hall Lane Waste site (Fitzwise Ltd) The Potteries, Pottery Lane E, Chesterfield, Dunsil seam 0.3m thick, 7,924m of coal, start Oct 1987 finished 28th May 2002.